Does the Evo Still Hold Up? 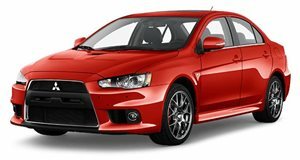 Now in its 10th generation, is the Mitsubishi Evo still the rally-inspired fun machine that so clearly defined its fantastic predecessors? Let’s face it: Mitsubishi isn’t quite the exciting brand it was back in the Nineties. Sure, it still builds the ever wonderful Lancer Evolution, but other gems like the 3000GT and the original Eclipse are things of the past that likely won’t ever come back. Fortunately, the Evo is still on the market (for now) in all of its rally-inspired glory. On this latest episode of Motor Trend’s Ignition series, host Carlos Lago gets behind the wheel of a 10th-gen Evo equipped with the GSR package. The question is whether it still holds up against previous versions that had no problem putting wide smiles on the faces of driving enthusiasts. So has the Evo strayed away from its roots? Check out the video to find out.